Important Info + "Cincinnati Inspired Police Car" now FREE! Hello and Happy Easter afterwards. From the 19.04. until the 01.07.2017 im in the vocational school, or professional school (GER = Berufsschule). 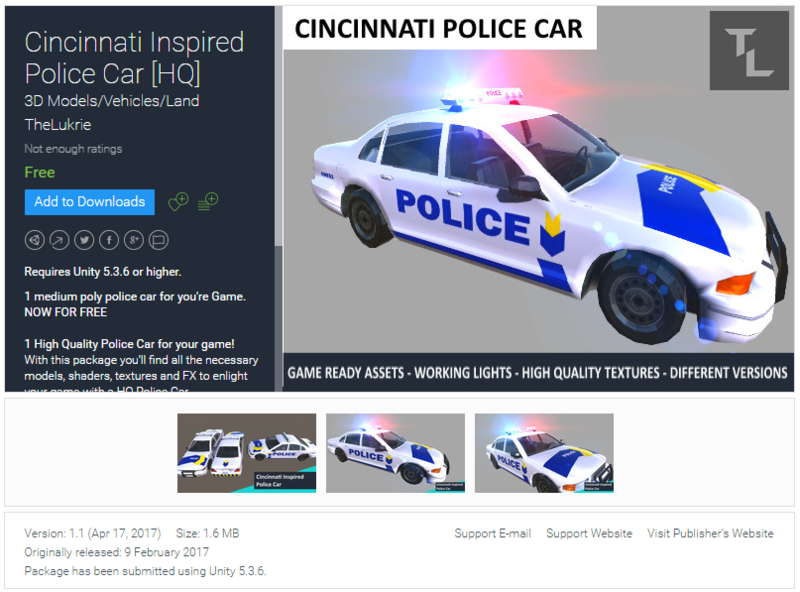 The "Cincinnati Inspired Police Car" is now FREE for Everyone on the Unity Asset Store! It's been so far just under a day now and already 30+ People have downloaded it. Thank you!